THERE'S SOMETHING CREEPY ON MY TAIL!!! 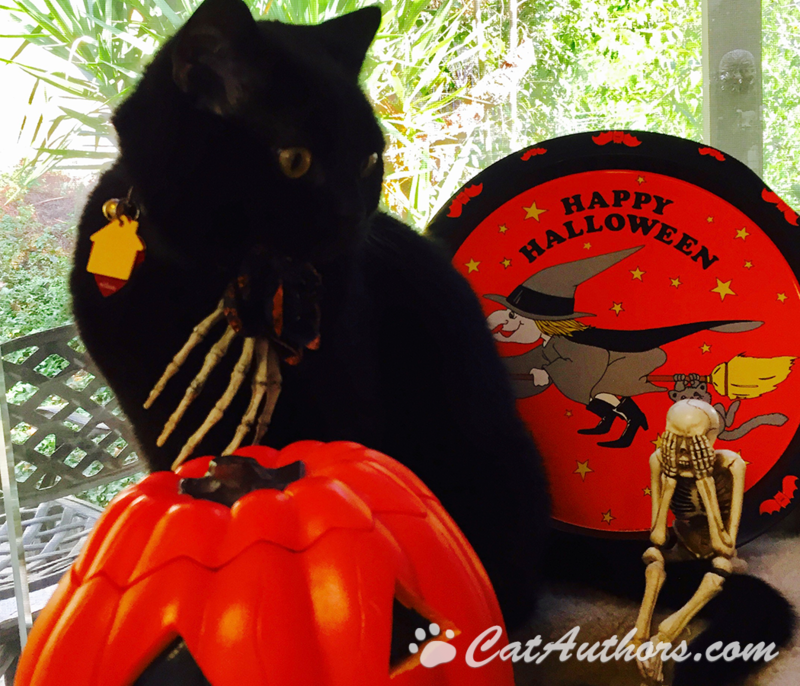 Happy Halloween to all my fine feline friends out there and their two-legged staff. I like Halloween and all but, Meowmuh, there's something creepy sitting on my tail!! It has two legs....if it doesn't get off my tail in a minute or so, then I'll just have to move it myself! I don't care if it falls and breaks...it's creepy.